Product #15984 | SKU LKBU-MCOM4-M89-US | 0.0 (no ratings yet) Thanks for your rating! 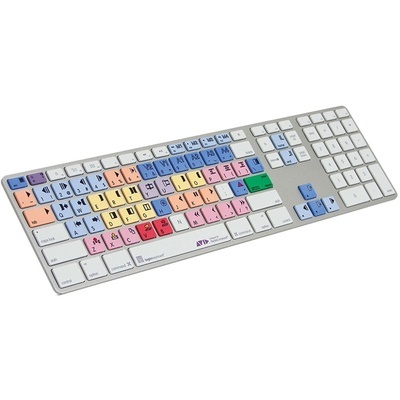 The Avid Media Composer Apple Ultra-Thin Aluminium Keyboard from Logic Keyboard is a USB keyboard designed specially for use with Avid Media Composer. The keyboard features colour-coded keycaps with icons that give clear, simple visual cues for keyboard shortcuts. The keyboard is custom built using Apple's Ultra-Thin Aluminium keyboard as a base. This makes it extremely comfortable for Mac users to use. Using keyboard shortcuts while working in an application will help improve your workflow, making this keyboard an excellent addition to your system.